WHAT: IBERIAN WRECK | WHERE: MOLASSES REEF, USA | EXCAVATION: 1982-1986 | DATE OF WRECK: A.D. 16TH C.
One of the earliest wrecks discovered and excavated in the Americas is the shipwreck at Molasses Reef in the Turks and Caicos. Lying only 6 meters deep the wreck was found in sand as well as heavily concreted in coral. The ship carried a large and varied amount of armaments. Haquebuts (hand cannons), bombardetas and a cerbatana (carriage-mounted guns), crossbows, arquebuzes (a shoulder arm fired by a trigger), versos (a swivel gun) and the various shot needed for all the types were found scattered throughout the wrecksite. Two bombardetas were a pair made in the same workshop as seen in the distinct muzzle decorations on each. These markings may provide someday a clue to their manufacturer. A similar gun in Madrid’s Museo del Ejército is believed to have been made in the late 15th century. Some of the cast iron shot was hollow and contained black powder still dry and dangerous after centuries underwater. Nationality of the ship is based on the type of ceramics found, which are Iberian in origin. This, along with the small ballast mound (11 by 3 meter, approximately 35 tons of stone) indicate the ship was probably a nao or caravela. 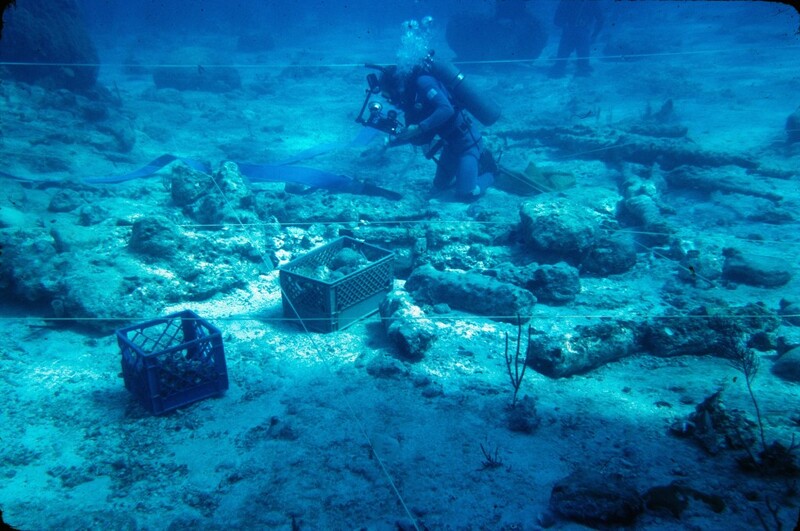 The artifacts of rigging along with the ballast particulars indicate the ship was around 20 meters long on deck. Comparisions with the Basque construction particulars of the San Juan at Labrador’s Red Bay, along with ceramics indicate the ship was Spanish and belongs to the early 16th century. The location of the ship in an area frequented by early explorers, as well as the lack of finer wares in favor of the utilitarian, indicate the ship may have been that of an early explorer of the Caribbean. 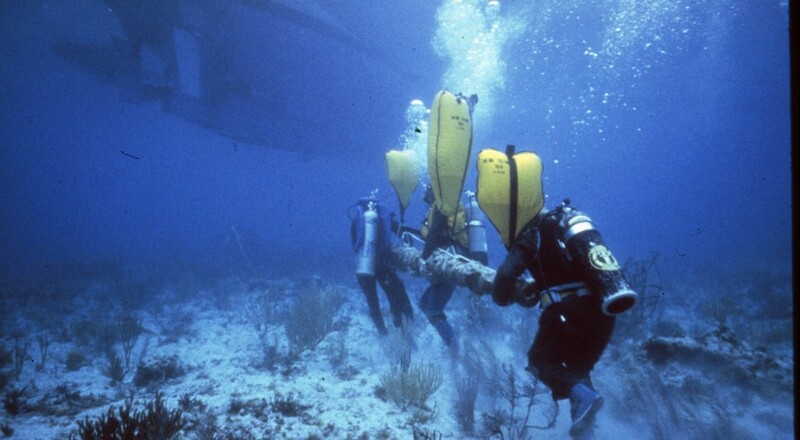 It is known that the explorer Pinzón lost a ship near the Bahamas in 1500 and Ponce de León lost one there in 1513, it is possible that either of these may be the identity of the Molasses Reef wreck. D.H. Keith, “Shipwrecks of the Explorers,” in Ships and Shipwrecks of the Americas. George F. Bass, editor. (Thames and Hudson, 1988): 46-68. ABOVE: An archaeologist photographs an excavation unit (Photo: INA, taken by Dennis Denton).